Aladdin is the exciting tale of the charming street rat Aladdin, the courageous and self-determined Princess Jasmine and the Genie who may be the key to their future. Could Will Smith end up providing a performance just as good as the original? "The great thing about the role of the Genie is that it's essentially a hyperbole for who that individual actor is, so it's a wonderful platform and tapestry for an actor to fill his boots on". "He was big enough to feel like a force - not so muscular that he looked like he was counting his calories, but formidable enough to look like you knew when he was in the room". 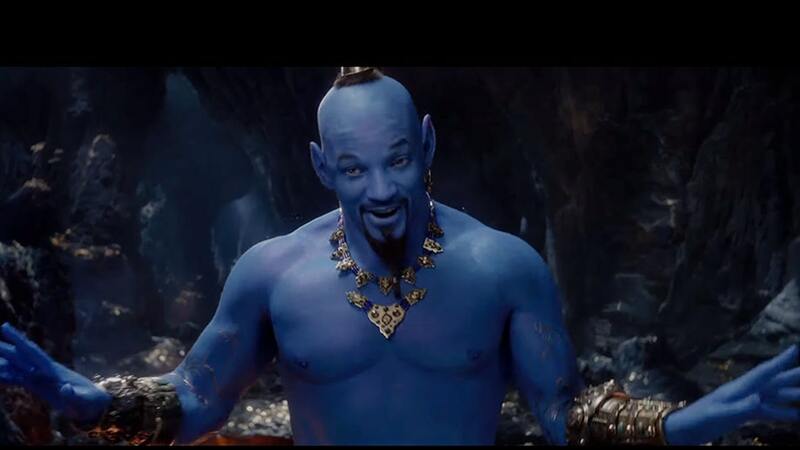 The blueness of the genie seems to sit in opposition to previous studio-released looks of Smith in full genie getup, which feature a decidedly less-blue skin tone.